No need for the Blues this Monday! So apparently, today is known as the most depressing day of the year! I mean, I get it. It’s the post-holiday slump, we’re all truly back at work now and the time between our last pay slip and our January one seems to have been stretching on forever. 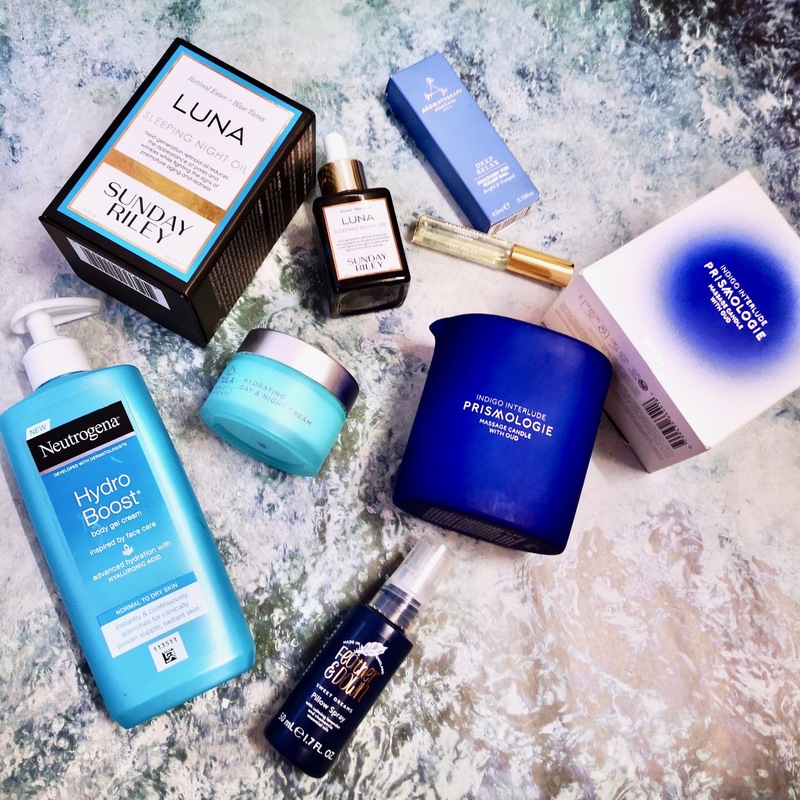 But you can beat the blues – and we’ve pulled together a little ‘beat the Blue Monday blues’ post with some products aimed to boost your mood on your skin – hopefully these will leave YOU feeling lifted. This is a beautiful night oil – it’s rich and smells amazing. It works as you sleep to boost and repair your skin using retional, but also includes skin-loving Avocado, chia and concord grape seed to strengthen the skin. It is a beautiful blue colour and makes the skin look amazing. So even if you don’t wake up feeling as refreshed as you want, your skin will! This is a real treat – as it’s not only a gorgeous scented candle but it also transforms into a massage oil! A two-in-one experience and the oil is beautifully moisturising with a stunning scent. So if you’re feeling like you’re needing some pampering – this is a winner! If your Monday Blues are coming from a place of stress, then chances are that your sleep is suffering too. A pillow mist is a must-have as an aid to help you drift off. This one from Feather and Down contains an infusion of Lavender and Chamomile essential oils – beautifully calming when you need it most. This Day and Night Cream is a quick and easy way to care for your skin and make sure it’s hydrated and feeling good – great for use both at day and night. This product also includes retinol- which is an amazing anti-ageing ingredient (find out more about retinol post here). The probiotics in this product also help to soothe the skin. Like we included the pillow mist for night-time relaxation, this roller ball from Aromatherapy Associates is perfect to carry with you as an aid for helping you to relax when you’re out an about. It contains a powerful blend of vetivert, camomile and sandalwood. I was pleasantly surprised to find/discover the new Hydro-boost body gel cream which includes hyaluronic acid in its formula. This is a serum-like lotion that when applied seems to just throw pure moisture onto the skin. It reminds me of some of those moisture gels that you can get for your face and actually, the brand says that they were inspired by facial hydration expertise. Apparently, this gel cream is designed to keep releasing moisture as your skin needs it throughout the day. So fight off those Monday Blues by having a good shower or bath, then cocoon yourself in a gorgeous moisturising body lotion- you and your skin will feel better for it!